This is a highly discreet and fast acting fixed brace system, which uses wires and brackets that are tooth coloured to move teeth into place in approximately 6 months. 6 Month Smiles is able to achieve these incredibly fast results by addressing the straightness of the teeth that show when you smile. Focusing on these teeth shortens treatment time dramatically and cuts out any unnecessary tooth movement. 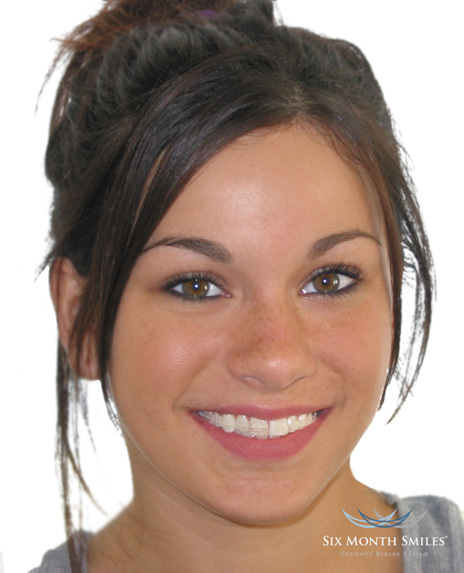 Although 6 Month Smiles is a fixed brace system and not as discreet as clear aligners, it does use tooth coloured wires and brackets to make it one of the most unnoticeable fixed braces currently available. How long does 6 Month Smiles take? Most cases of 6 Month Smiles can be treated within 6 months. 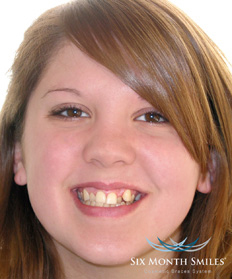 The length of treatment will be based on your current orthodontic condition, which can be discussed with the dentist at a friendly consultation. This treatment is able to create the pressure and force needed to move teeth quickly, without the use of thick wires and brackets. The discreet wires and brackets it does use, however, are still able to correct teeth effectively, and smiles can be straightened in around 6 month. 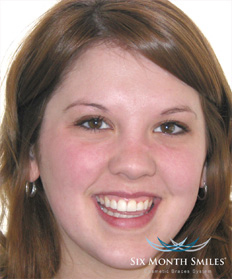 This is the ideal teeth straightening option for patients looking to achieve a straighter smile in time for special occasion.